My first pair of 901's was back in college and they were late production run Series 2. Bose had switched to using drivers destined for the Series 3 and the drivers had foam surrounds. Years after my warranty expired Bose offered me a pair of Series 6 for cost because the foam began to crack on the series II. I took the offer as it was less money than replacing all 18 drivers. Ever since I've been wanting to go back to the Series II but with the CT drivers that had cloth surrounds and were acoustic suspension (series 1 & 2). Well, I picked up a pair of Series II a month or so ago. Been cleaning them up and restained them as they were five colors from sun fade. Needed new grill cloth and a recap of the EQ. I sent the EQ out to DHS Speaker Service in Feeding Hills, MA and bought the ultimate upgrade package. I got some material called Mellotone grill cloth from Parts Express. Today the Series 6 came out and the Series II went into the HT/2-channel system in the Family Room. They sound SO MUCH BETTER than the ported Series 6. Much richer and tighter bass, clean, detailed treble. Attached are some before and after pictures. Very nice work. I also had DHS do my equalizer on my Continental II's system and sounds fantastic. I still haven't got the series V pair that I have downstairs to compare yet. Just having setting up another system for the V's has kept me from doing it yet. I even install new foam on all drivers.....so anxious to hear them against the II's. Amazed you heard a big difference. DHS also did the EQ for my Series6 a few years ago. They are over 20 years old and the EQ needed a recap. The surrounds are polyether and look like new. There isn't much that can be done to the ported speaker's EQ's. This is what he did to the Ser6: All switches, slide pots, and rear RCA Jacks were cleaned, lubricated, and treated with DeoxIT. All Electrolytic Capacitors were replaced. Power Section received Premium, Higher Value Panasonic FM Series Caps for longer life and better filtering. All remaining Electrolytic Caps were replaced with Ultra Premium, Elna Silmic II Audiophile Grade Caps. The existing Transformer was wrapped in New Copper EMI Shielding. Exterior chassis, face plate and wood cap were cleaned. All switches were cleaned, lubricated and treated with DeoxIT. Neon Indicator Lamp converted to Low Voltage LED. All RCA Jacks were replaced with heavy duty, gold plated jacks. All Electrolytic Capacitors were replaced. Power Supply received premium, higher value Panasonic FC Series, and ultra premium Elna Silmic II Caps for better filtering and longer life. Audio section was fitted with ultra premium Elna Silmic II Audiophile Grade Caps for better sound. All input, signal path, high frequency metal film, and output electrolytics were replaced with ultra premium Sonicap Metalized Polypropylene Caps for the best sound. In addition, all Ceramic Caps were replaced with ultra premium Silver Mica Caps. Further upgrades to the Power Supply Section include Ultra Fast Soft Recovery Rectifier Diodes, bypassed with Panasonic Ceramic Caps, New 1 watt Metal Oxide Power Resistors, and New Copper EMI Shielding for the Transformer. Rebuilds such as this can really help. Especially with detail and roll off of the highs. The bass of the acoustic 901's is different and to me much nicer. The ported series lack the bottom half octave in lieu of better efficiency. Not sure it was worth it. Both series roll off on the highs. With the rebuild I can now clearly hear cymbals without listening to try and hear them. Let me know your impressions after you find time for an A/B test of the two. The series III was the beginning of pandering to a lower end market that altered the balance between the cost of the speakers and the cost of the amplifier. 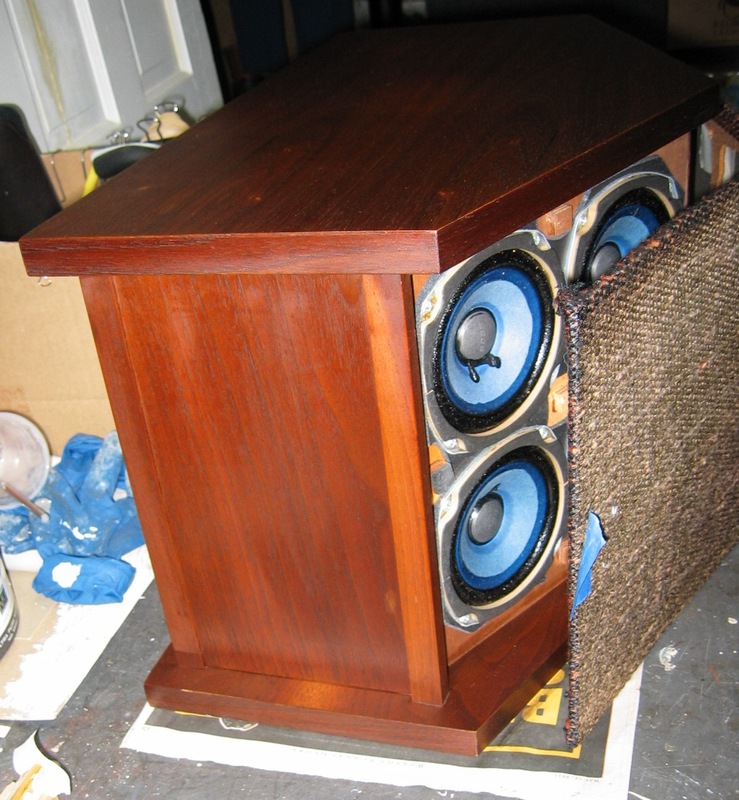 The Series 1 and 2 were about $500 for the speakers and $1500 for an amplifier. They were acoustic suspension designes. 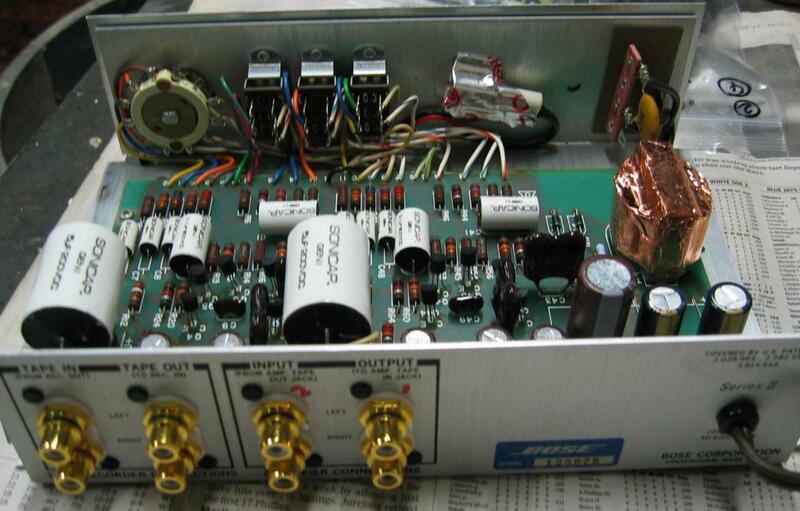 I used the AR amplifier which actually delivered 90 wpc at 8 ohms. Starting with the series III ported design, the price inverted so that eventually you could drive the $1500 speakers with a $500 receiver. IMO the ported design sacrificed the bottom octave. Personally I thought it was an inferior product. I heard the Series 6 briefly at a Bose store in Newport Beach Ca. about 7 years ago. It has the same non existent high end I heard from my original 901s. I've redesigned mine making it a two way bi-amped system with both active and passive crossovers for the array of tweeters I added. I've posted elsewhere on this site about what I did. It took me four years to get it right. I've removed the 7 db hump at 250 hz I have and straightened out the 8 db falloff between 90 hz and 30 hz. The speaker is now even more power hungry than it was. It retains all of the desirable characteristics of the original 901 with none of its flaws. Except for its limited low frequency power handling capacity (it would take at least 3 pairs in parallel and 600 to 1000 watts of power) it will give my AR9s a run for their money and is actually superior in many ways. I have read the threads you posted regarding your upgrade to the 901. Intriguing. I have to agree that the acoustic suspension models are much better than any of the ported models. I remember listening to some Series 3 back when they came out. They were horrible. The worst of the ported models and that's why they have the shortest production run. Supposedly the Series 6 stretch out to 17kHz but still lack clarity and detail; and the bass is missing the lowest (half) octave as you say. Certainly not worth the design change. They also suffer from muffled speech (port chuffing). Port chuffing is also noticeable on certain types of music as well. Those problems don't exist with the Series I & II. Yes, they crave power, but you cant beat the tight, controlled bass of an acoustic suspension design; but IMO they can't handle as much power as the Ser6 due to the difference in the voice coil. The micro details, and "air" in the treble region were always in the signal, it just got lost in the general purpose film & ceramic caps of the day. If you haven't recapped your EQ then I'd say its time. I was amazed at the difference it made.